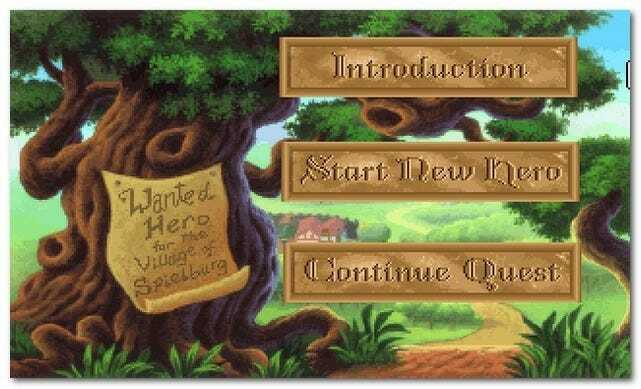 If thoughts of playing Maniac Mansion, The Secret of Monkey Island, Kings Quest, and other classic point-and-click adventures sends tingles of nostalgia to your mouse hand, read on as we show you how to enjoy the classics on your computer with ScummVM. 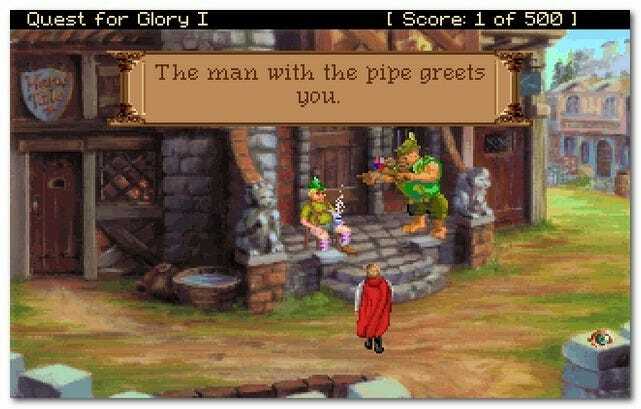 As any fan of old-school point-and-click adventures can tell you, installing and running the retro classics from the 1980s and 90s on a modern computer is a complete and utter crapshot. If you can even get the old games to run in compatibility mode they are plagued with graphics and audio issues that radically decrease playability and put a definite dent in your nostalgia fix. 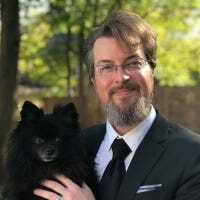 Thankfully, there is a sizeable overlap between the realms of skilled programmers and die-hard point-and-click adventure fans. The result of that overlap is the ScummVM project—a multi-platform game engine that acts as a modern front end for old game scripts. ScummVM essentially replaces the executable that launches the original game with a shinier, more efficient, and feature packed interface that allows for everything from custom support for individual games to enhanced gaming saving. As long as you have the data from the point-and-click games (even if you can’t run the original game on your computer) you can import them into ScummVM. Now that you’re pumped and ready to get playing your retro favorites, let’s review what we need and get started. For this tutorial you’ll a small number of things, all of which are free. A note on the necessary items: We’ll be using ScummVM for Windows but ScummVM is a highly ported application and is available for everything from Mac OS X and Linux to Android, iOS, Wii homebrew, and more. For a full list of the two dozen plus operating systems and platforms supported check out the Platforms entry in the ScummVM wiki. As for the game data files, you can acquire them in one of several ways. If you have the the original game disks/discs and the ability to read them, you can simply copy the files over. You can also download point-and-click games that have been released for free legal download or browse the list of compatible games in the ScummVM wiki and check out the links to sites that still sell the vintage games. If paying $10 for a 30 year old point-and-click game is a bit rich for your budget you can always hit up eBay and other reseller locations to scoop up old games on the cheap. As an alternative route, for games no longer in production or distribution, there are multiple sites that host retro games that have fallen into the realm of “abandonware”. A cursory search engine query should help you find them. Installing for ScummVM is dead simple—especially if you download the portable copy—just run the installer or extract the zip file to a location of your choosing. Once you’ve installed or extracted it, run scummvm.exe. On first run, you will see two things, a warning message (indicating that the scummvm.ini configuration file is missing and a fresh one will be created) and the actual ScummVM interface window as seen above. To get started we need to add some games. For our test we’re going to use the Sierra games classic Hero’s Quest (a lesser known title in the genre of King’s Quest and Space Quest that is dear to our hearts). Regardless the game you’re using, the steps will be the same. Extract or copy the game files to the location you wish to store your games. We’re storing them directly in the ScummVM directory so should we decide to copy the whole setup to another computer everything is already neatly organized. Our copy of Hero’s Quest went into /ScummVM/Games/Hero’s Quest/. Once the game files are finished copying to their new directory, head back into the ScummVM interface and click Add Game. Navigate the to the appropriate directory and select choose—if the game is not on the compatibility list or missing key files ScummVM will not allow you to select the directory. Once we click choose, we’re presented with a settings menu for the specific game. 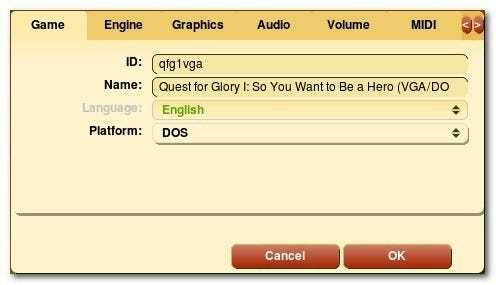 (Those of you with eagle eyes will note that the game name is Quest for Glory and not Hero’s Quest—Sierra changes the game name after a conflict with the Hero Quest board game by Milton Bradley). Within the settings menu we can tweak the game engine and sound output (among other configuration options). Since ScummVM is a highly supported app and the game already had a unique ID in the ScummVM database, we’re going to skip messing around with any settings until we play the game. Let’s fire it up and see how it looks. Click OK to exit back to the main interface, there you should see a new entry for the game you just added, like the one seen above. 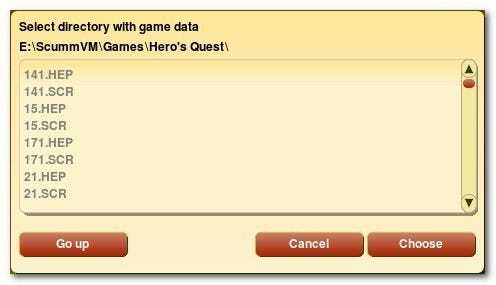 Click Start to launch the game. So far so good; the main splash screens loaded and the game transitioned smoothly to the main menu. Let’s create a character and take him for a stroll around town. Oh sweet blast of nostalgia to the dome—the game is just as we remember it from the point-and-click goodness to the yo-yo infatuated good on the steps of town hall. Success! Is my game supported by ScummVM? Do I have the requisite data files copied into the game directory? Does the game come on multiple CDs? If so, check out the advanced file naming tips in the detailed ScummVM installation guide. For more advanced configuration problems, check out the ScummVM manual and wiki. Between the excellent coding and support documents, you’re sure to get your game working in no time. Have a retro-gaming tip, trick, or old game to sing praise for? Sound off in the comments to share the wealth! What is a TPM, and Why Does Windows Need One For Disk Encryption?